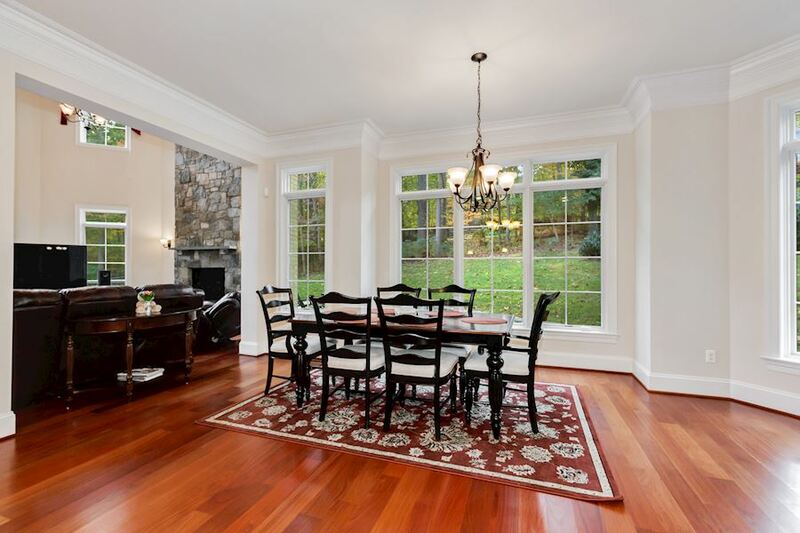 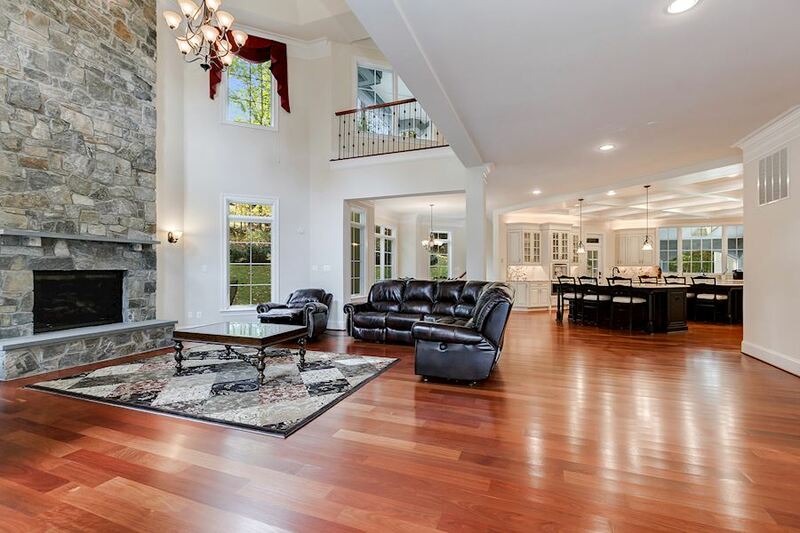 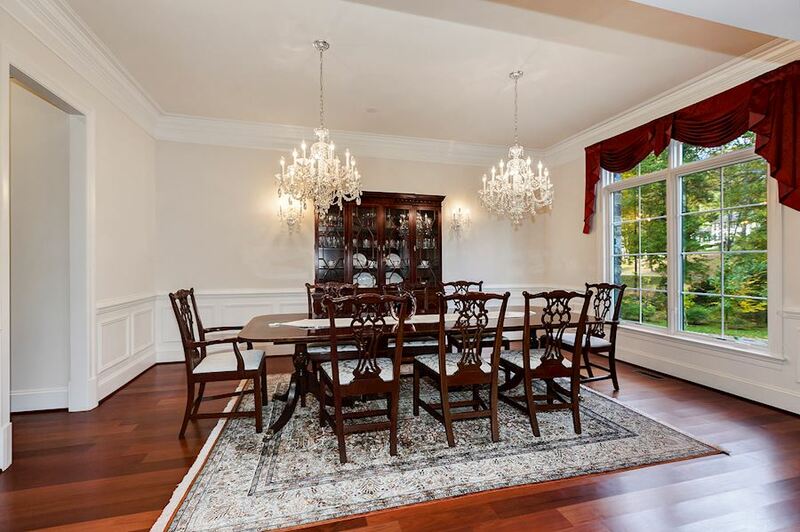 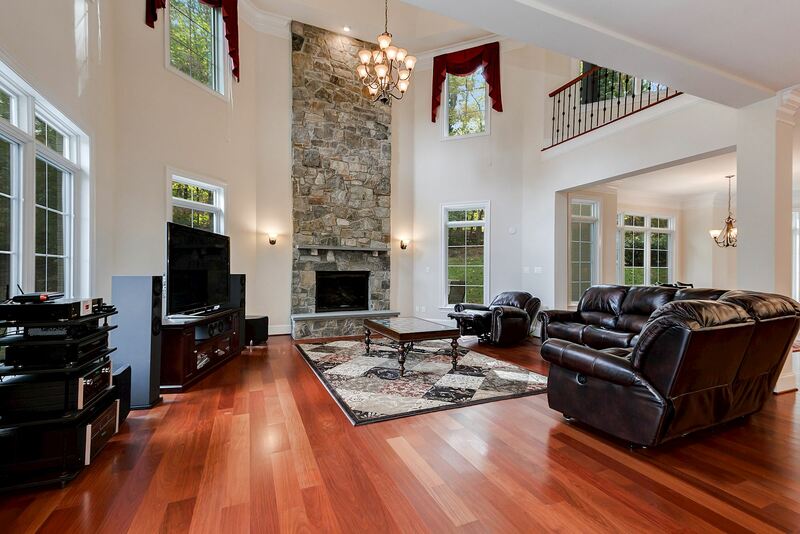 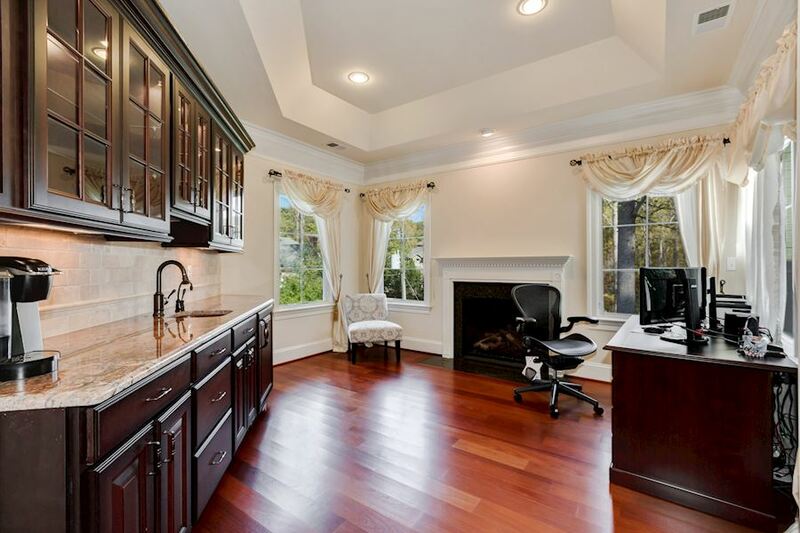 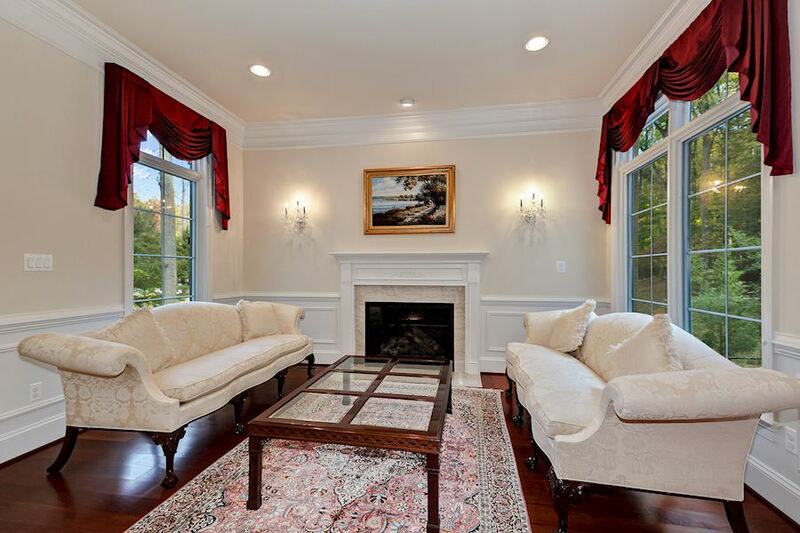 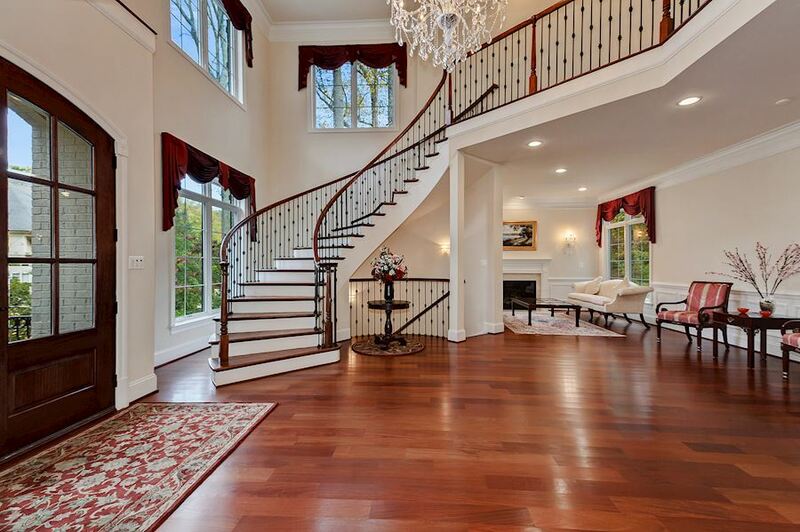 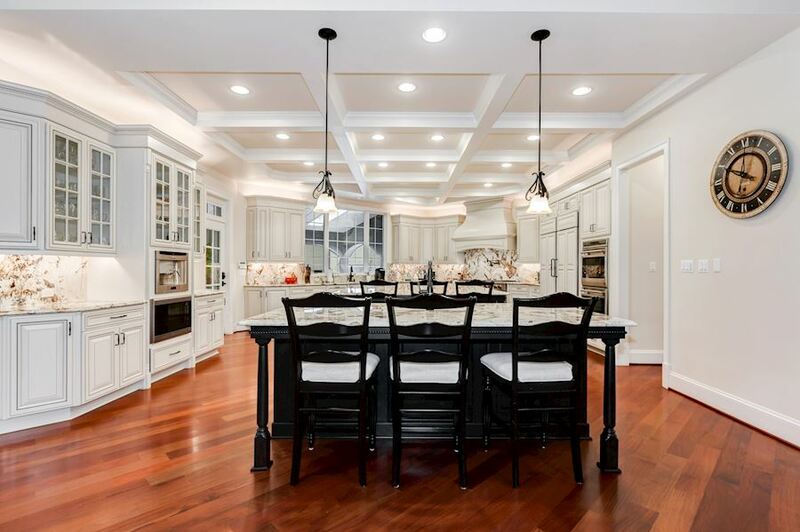 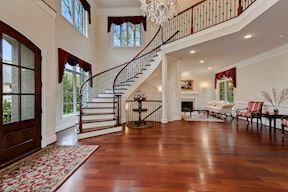 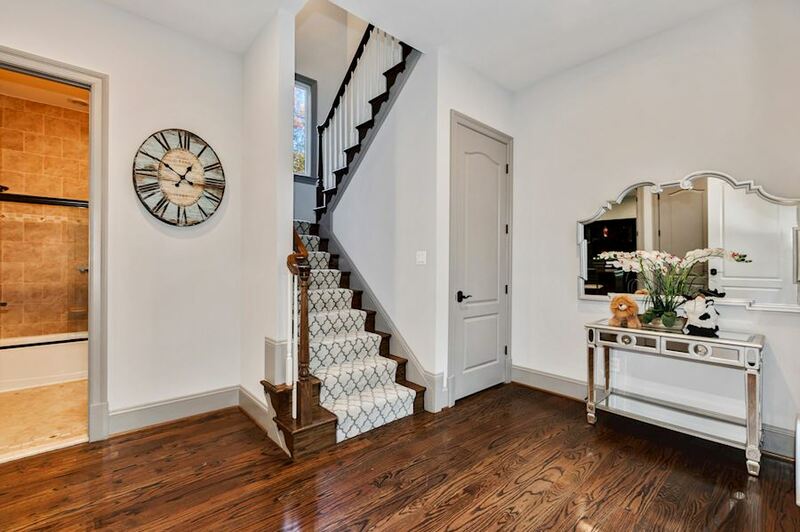 This elegant French Manor home was built with incredible builder upgrades and features 7 bedrooms, 8 full baths, and 1 half bath. 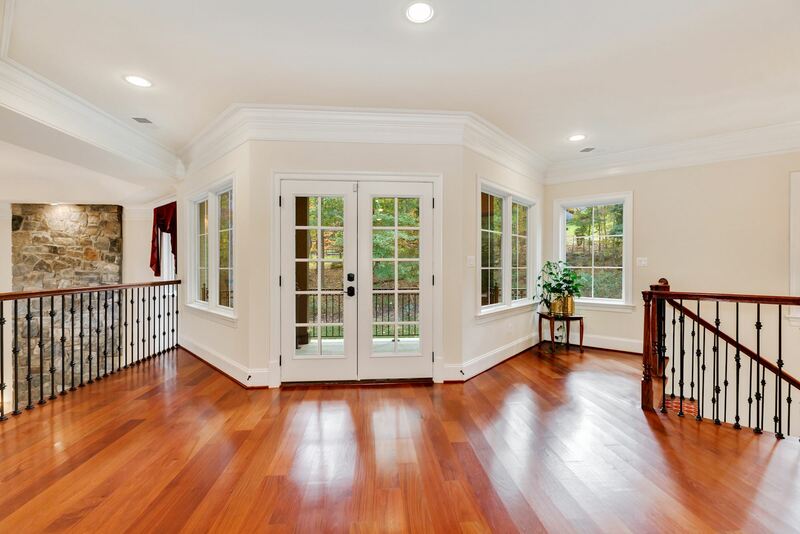 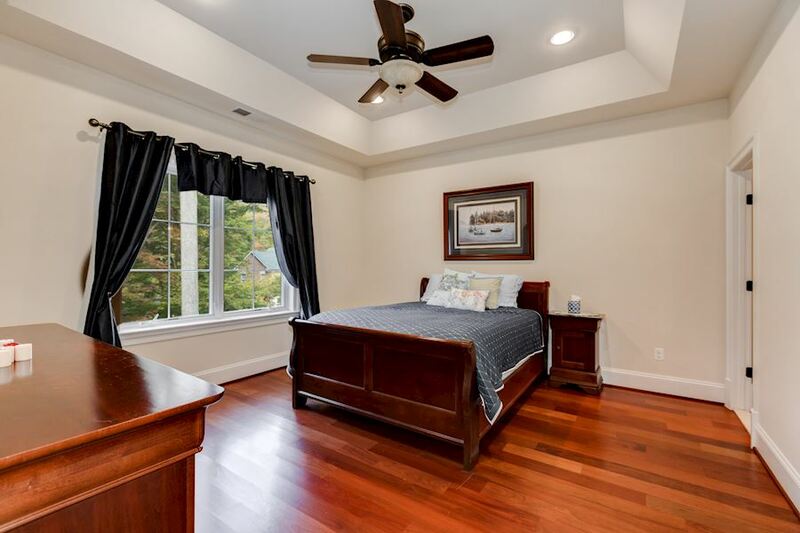 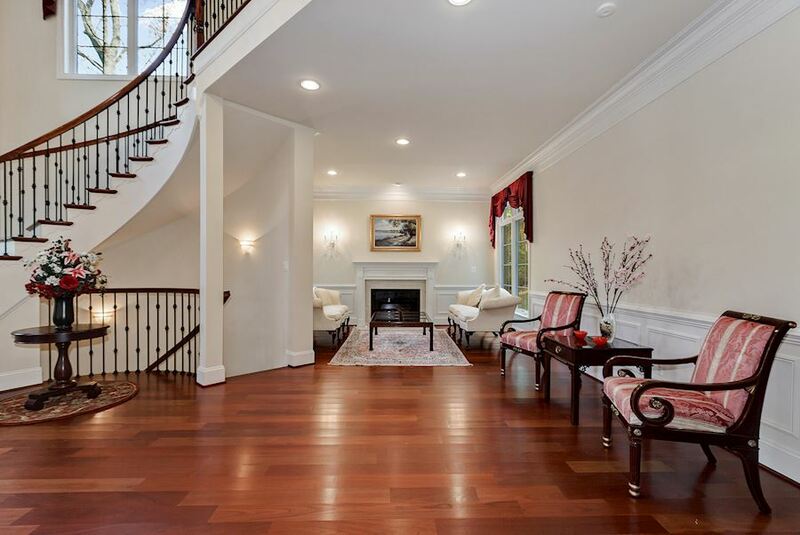 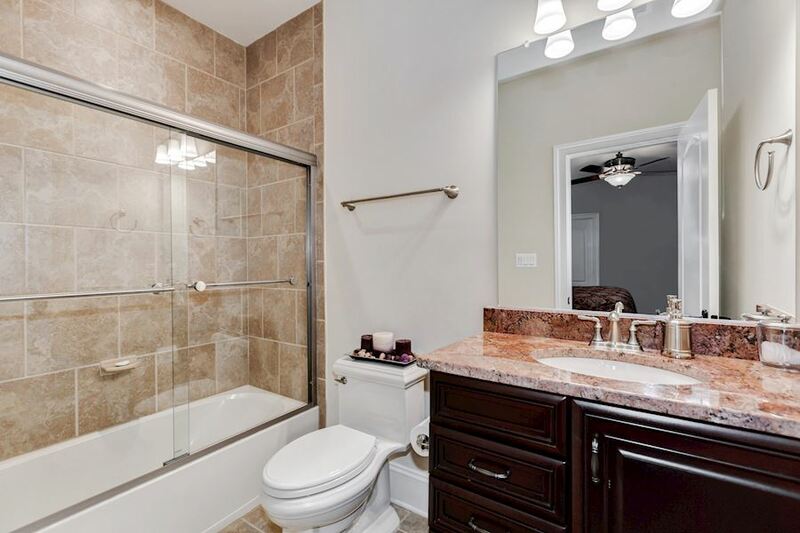 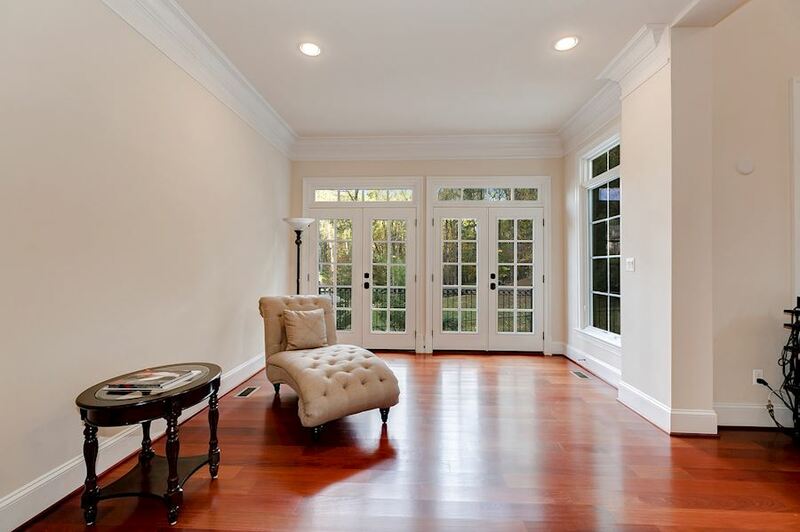 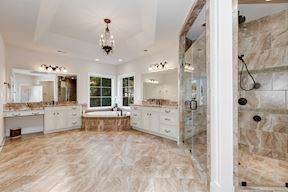 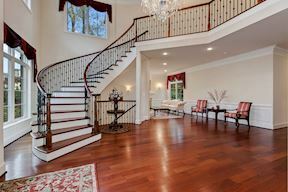 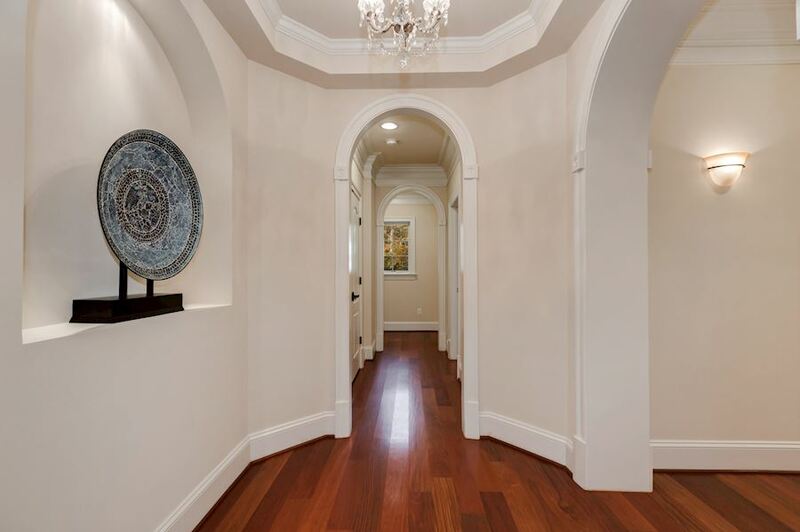 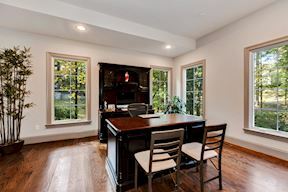 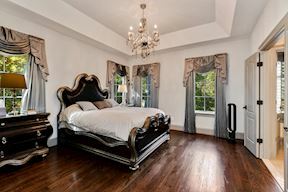 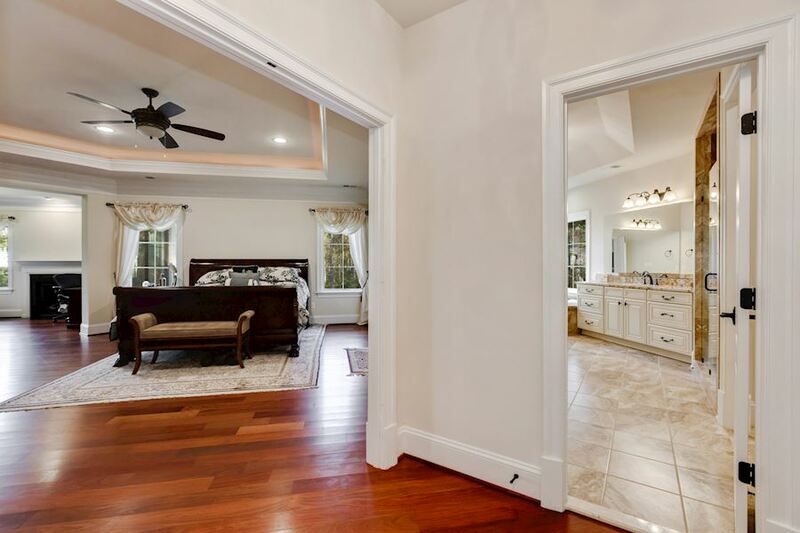 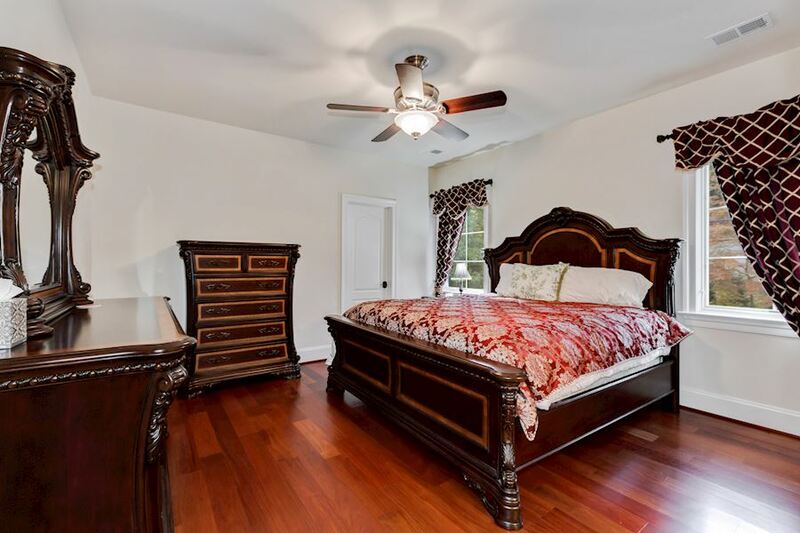 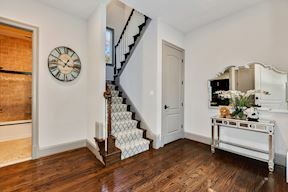 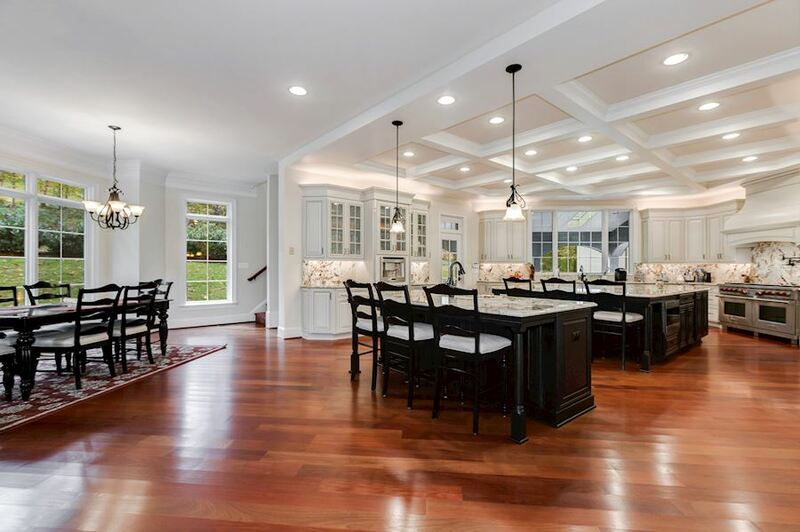 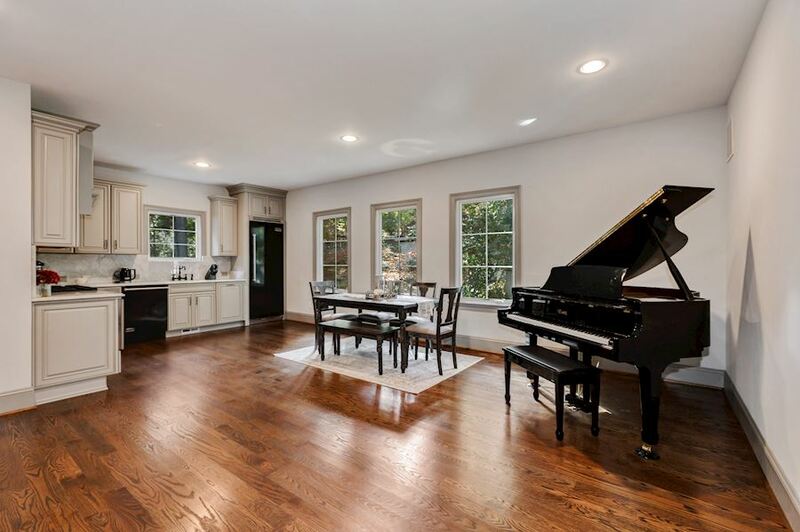 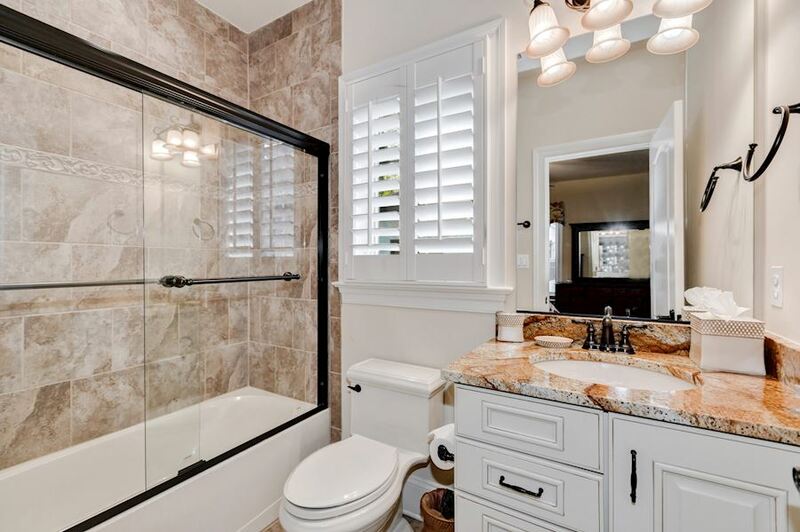 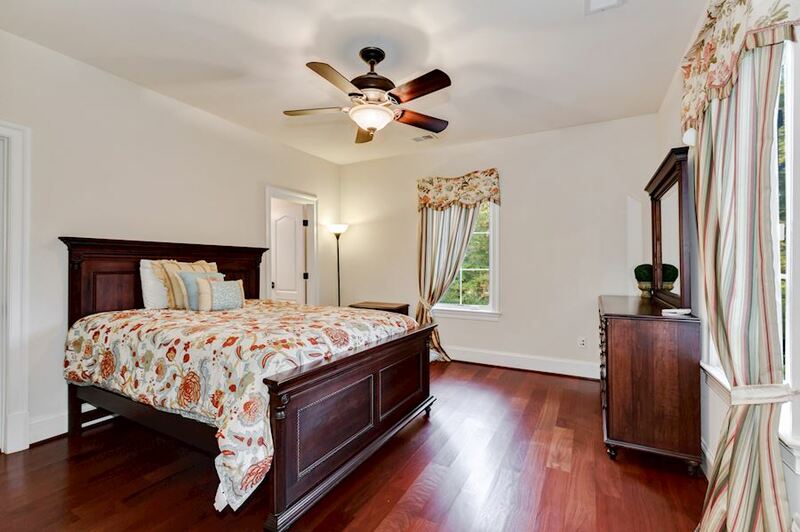 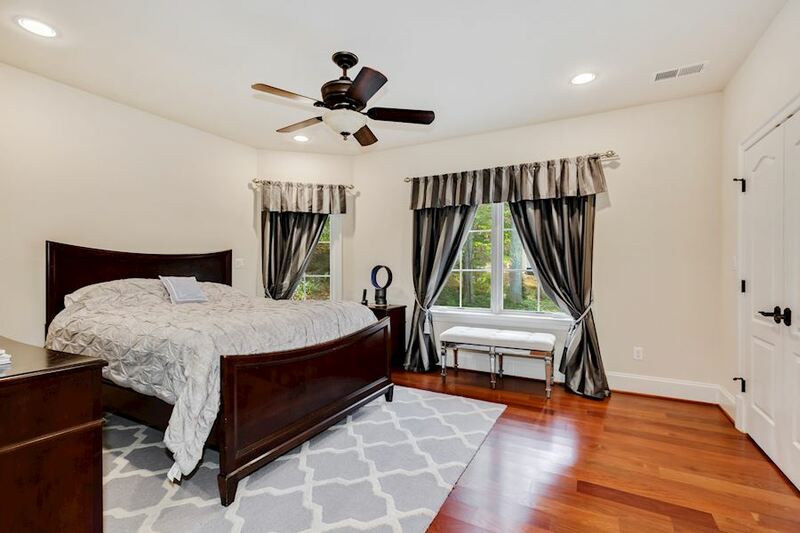 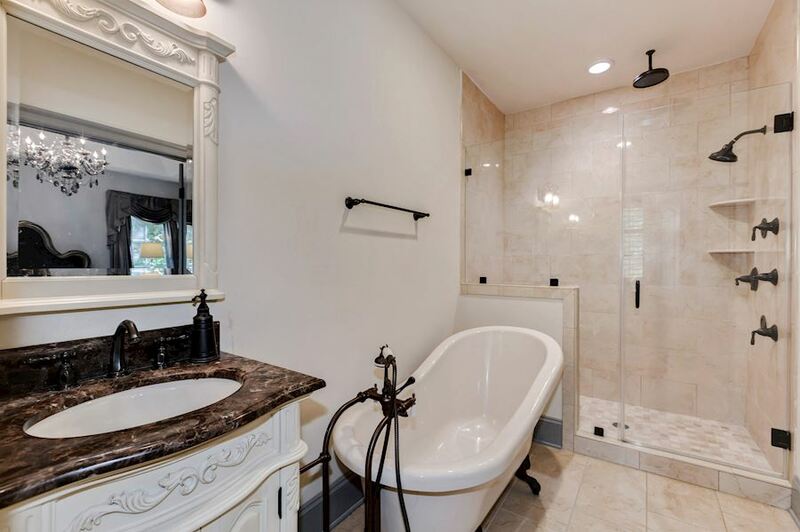 Thoughtfully designed with incredible detailing, this home offers high end finishes like Santos Mahogany flooring, four piece crown molding, and exotic granites throughout. 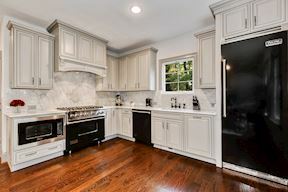 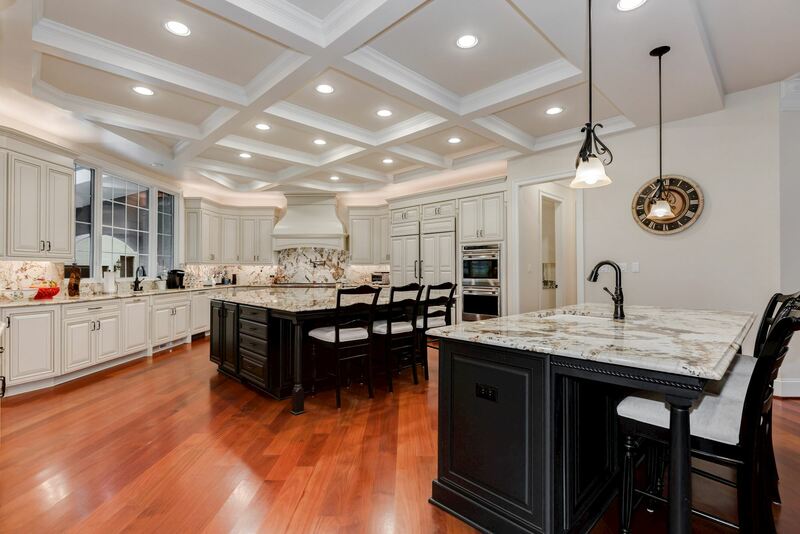 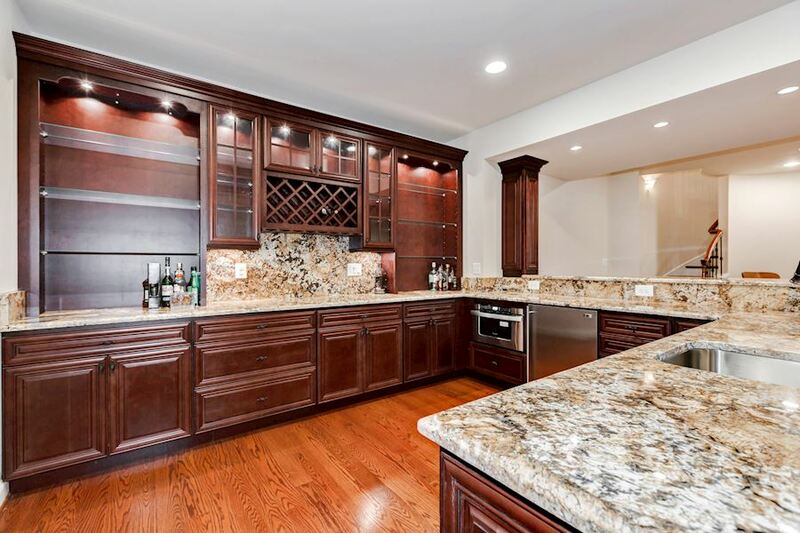 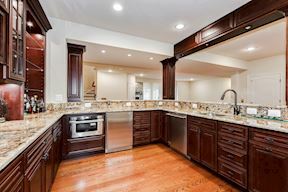 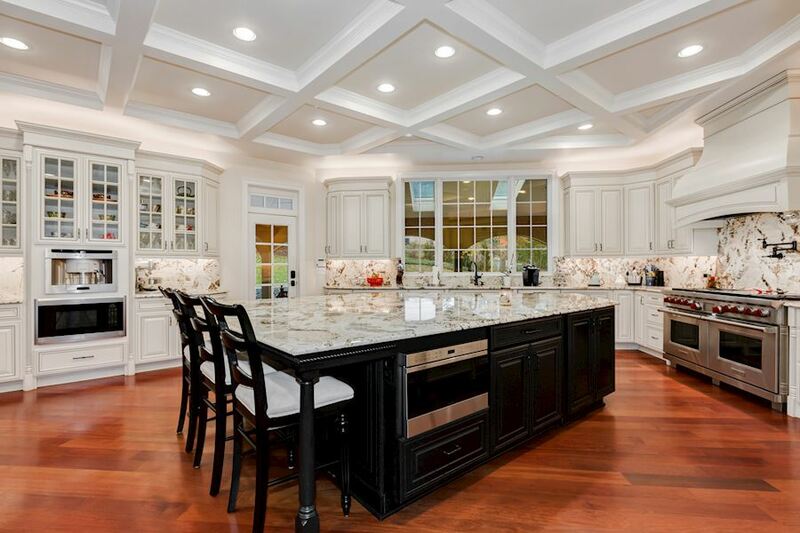 The fantastic Chef’s Kitchen, complete with two island/ breakfast bars & stainless steel professional Wolf Appliances opens to the two story family room, making it perfect for entertaining and lounging. 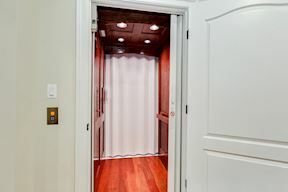 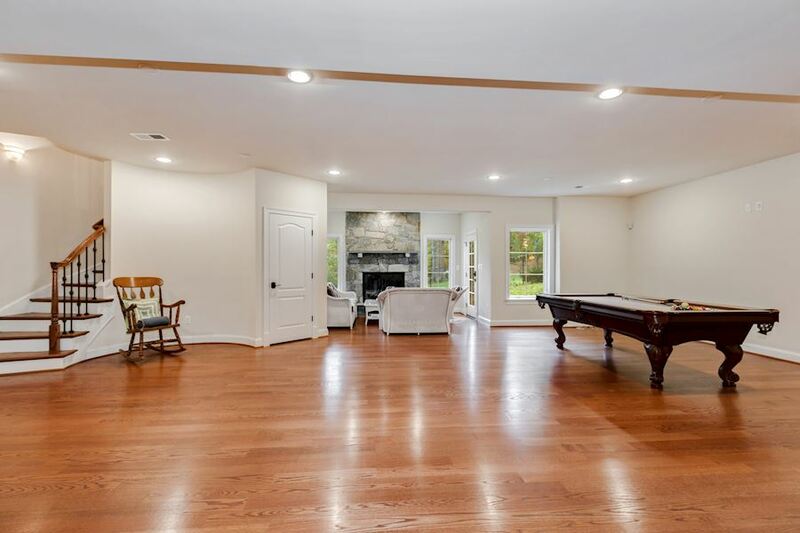 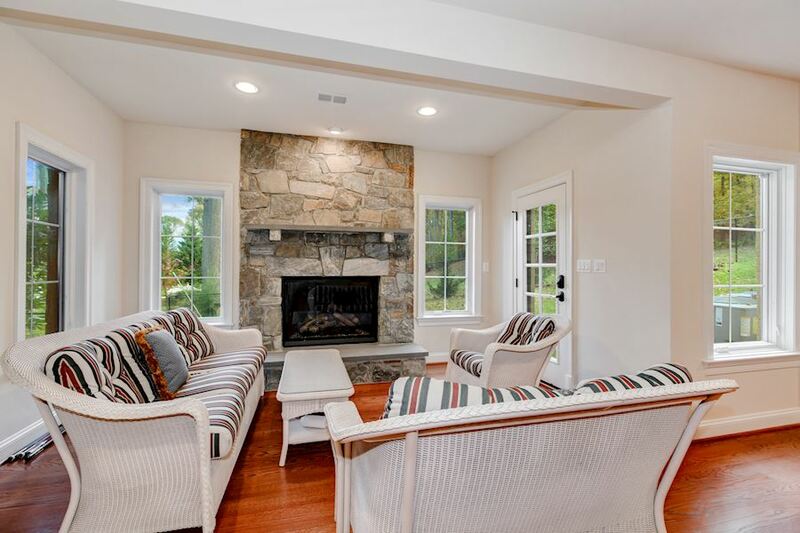 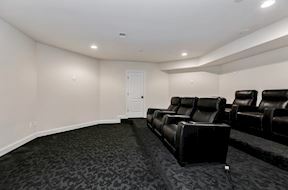 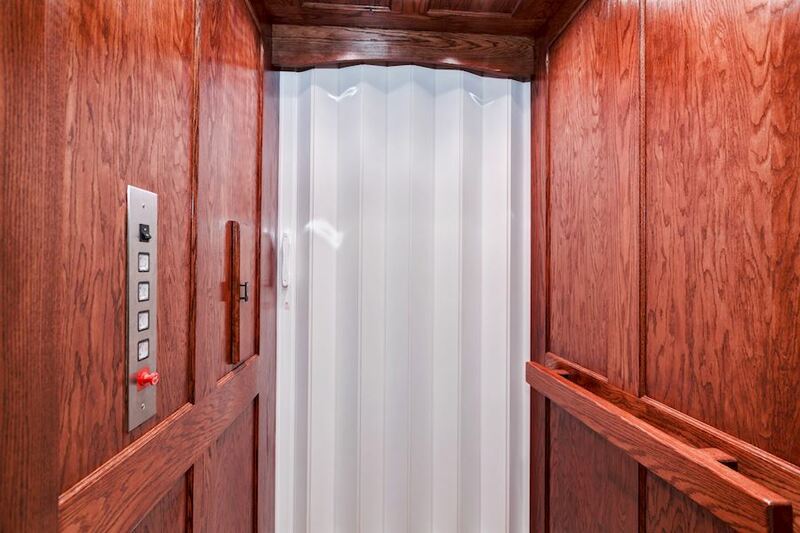 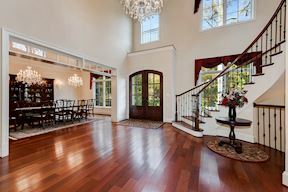 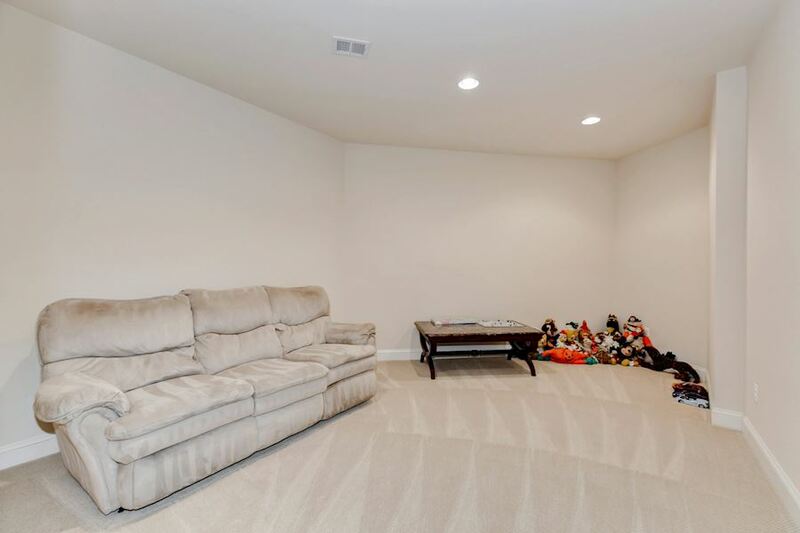 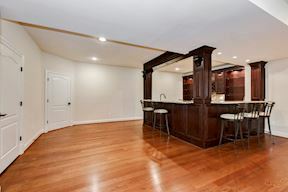 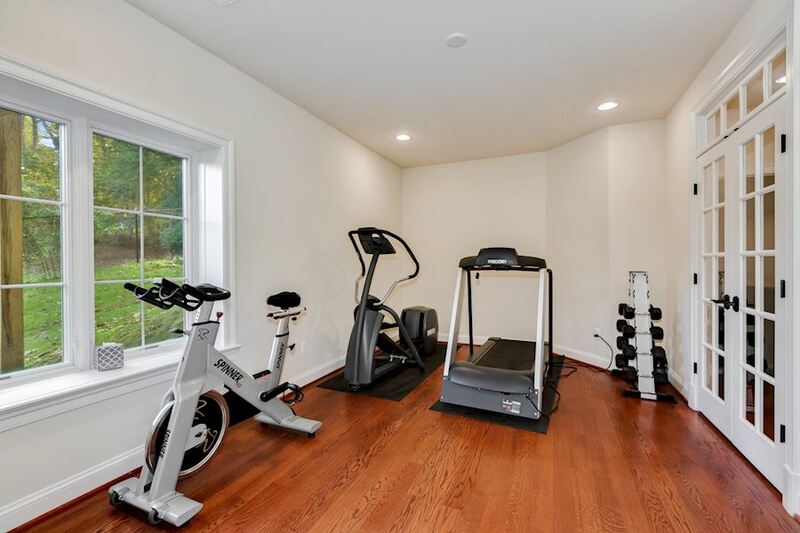 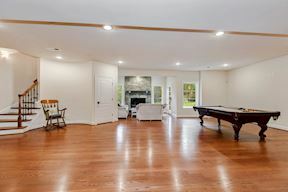 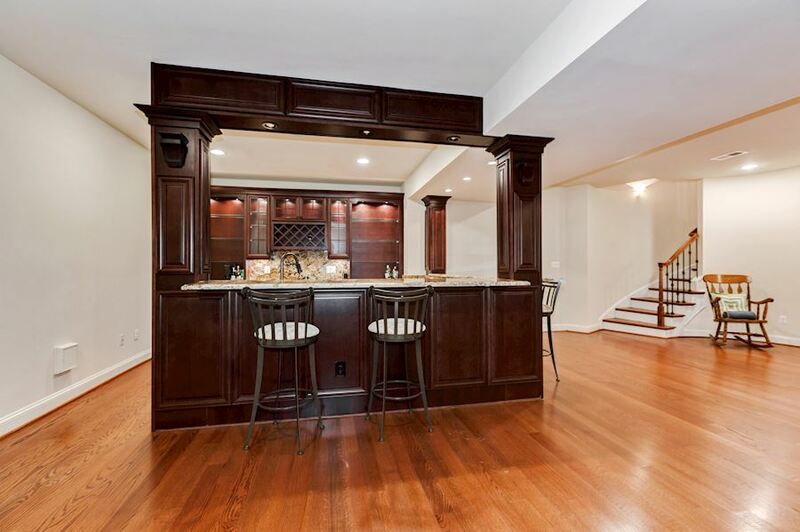 The lower level Recreation Room is well-equipped for any event with a stone fireplace, a U-shaped Wet Bar with stainless steel GE Monogram appliances, a Wine Cellar, Exercise Room, and Media Room with tiered seating. 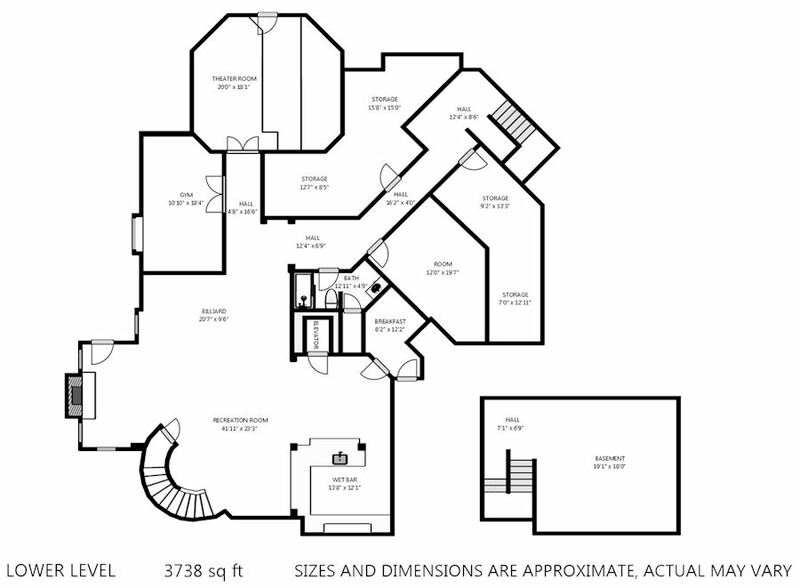 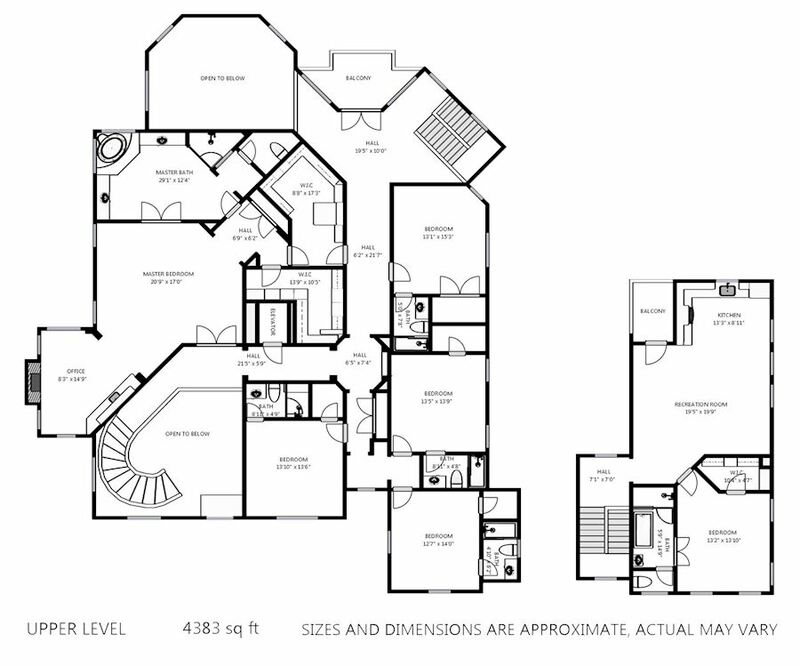 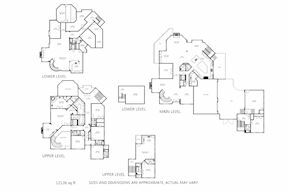 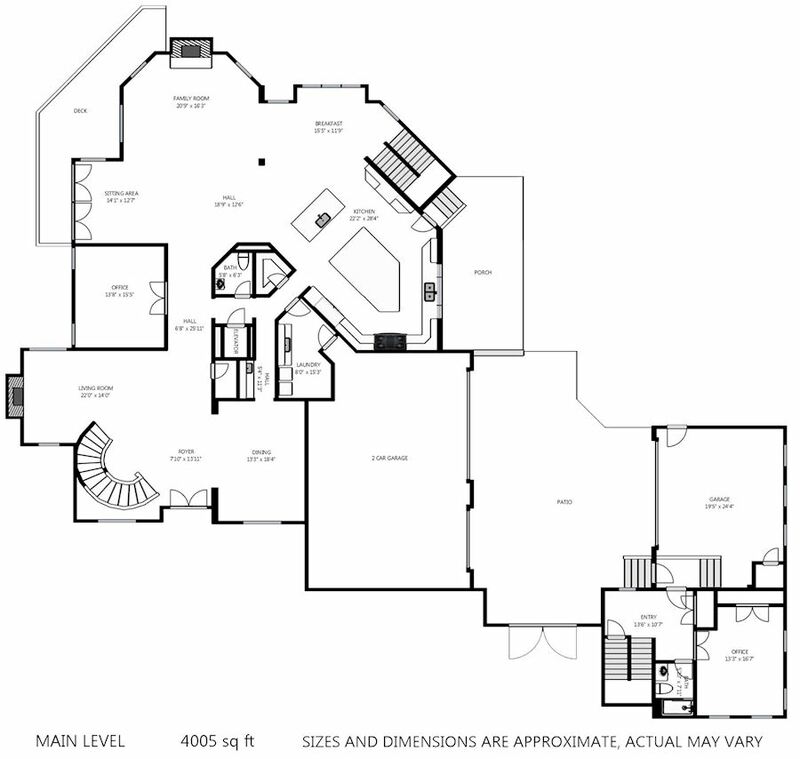 The oversized Master Suite contains a separate Sitting Room with a fireplace and built in Decora coffee bar, and two custom walk in closets with stunning built-ins. 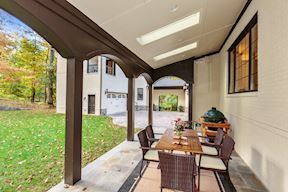 The attached deck and covered patio are the perfect outdoor living spaces. 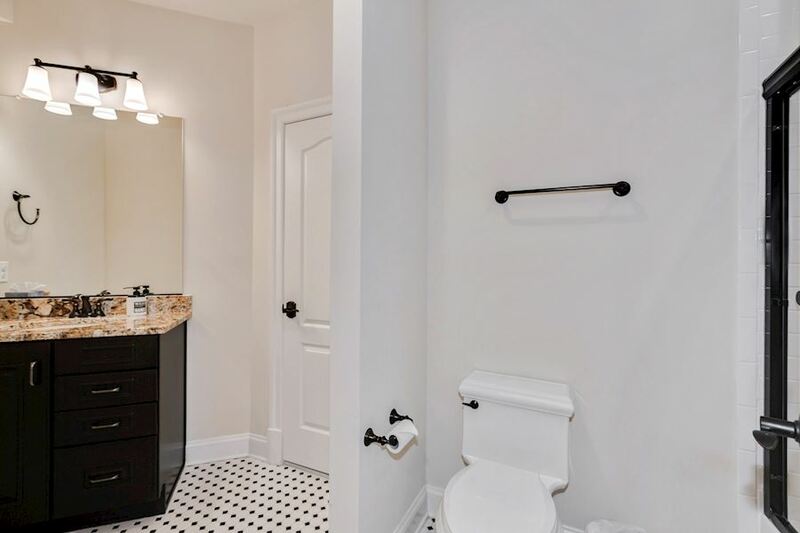 The Paver driveway leads up to 5 car attached garages, with an installed guest townhouse offering 2 bedrooms, 2 full baths, a gourmet kitchen and balcony. 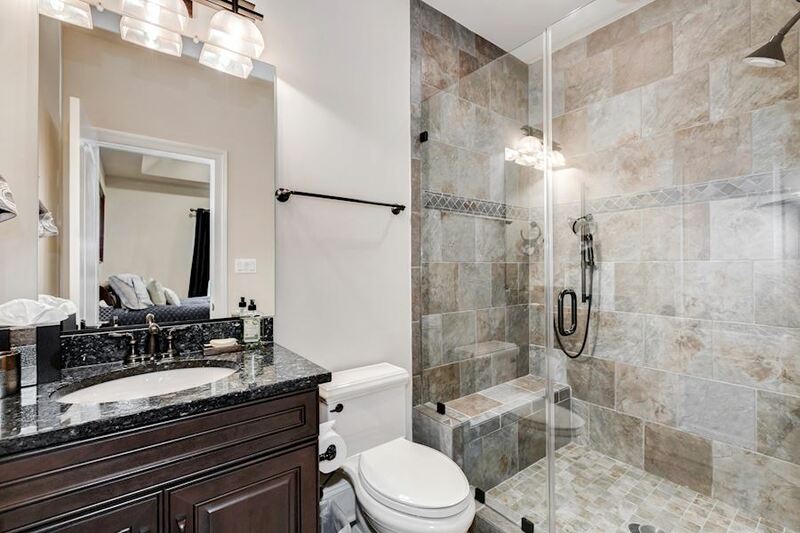 Located only minutes from shopping and dining, this home also provides easy access for commuters. 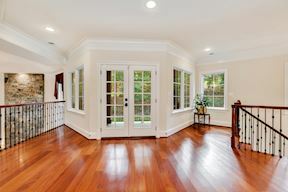 In today’s real estate market, buyers and sellers deserve more expertise, professionalism and local industry insight from their agent. 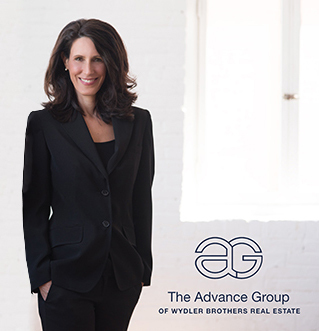 The Advance Group draws on combined 20+ years of experience to provide an expert consultative approach in areas ranging from residential, including new construction and working with builders, to new developments and commercial transactions. 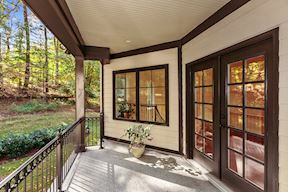 Kesh Tayal and Tracy Williams believe that real estate is more than buying and selling homes. 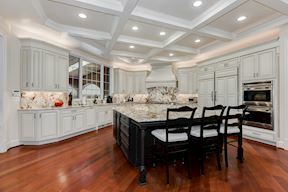 It’s finding innovative solutions to unique situations and creative strategies to achieving success that sets this group apart; from discovering a new lot or off-market listing, engaging with builders, or introducing investors to potential opportunities. 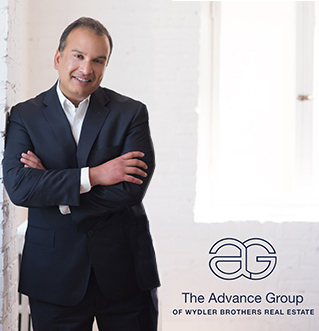 The AdvanceGroup provides constructive knowledge that expertly guides clients through the process and options available to them to meet their desired goals.